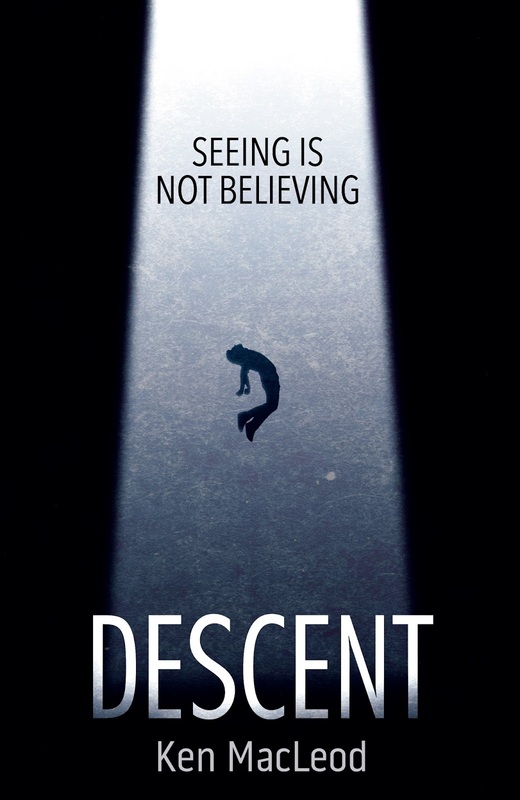 My novel Descent (UK/ANZ/Amazon UK/ sample here) is being launched at Edinburgh's fine bookshop Blackwell's on Thursday 6 March. The event finishes at 8 pm, and no doubt discussion will continue in one or more of the local pubs. Hm. That's weird. I already have a copy, which I bought at Waterstone's near Oxford Circus in London on Saturday. Sorry about that—I didn't realize that it hadn't been officially released yet. I was just delighted to be able to buy a couple of UK-zone books early, since I happen to be in the UK on business. Hey, I'm not complaining! Books get out to the shops days before their official publication date. Many thanks for buying it. Congratulations. I will request my local library get a copy or two. They are pretty good about bringing in popular UK books. Which is why we have a copy of Intrusion here. The shipping fees are otherwise a little high to Canada for an individual order. Great stuff. I've just written a text for our chain of book stores here in Sweden, making it our SF-book of the month. I really liked the description of Ryan's progress in life, and how his experiences influence his decisions later in life. Well, Amazon UK says my order is "preparing for dispatch;" I'm eagerly awaiting. BTW, off topic, but on the issue of Scottish independence-if you want a Midwestern Yank's opinion-my paternal grandfather was born in Dingle, County Kerry, Ireland, and my paternal grandmother was born in one of the "Magdalen" orphanages in Dublin. Now my mother was born in what is now Slovakia-this kind of inter-ethnic marriage was as common in Chicago (or any other big US city) of my parents' generation as interracial marriage is now. I say this to show I'm not some US Noraid supporter-I was always closer to my mother's family, and consider myself as predominantly of Slovak descent; anyway I always felt closer to the Officials and the Workers' Party than to the Provos. Yet I see so many English leftists rushing to support the Scottish petty bourgeois dream of Holyrod's own spot in the EU, while at the same time, (with the exception of some of the more militant Trots, who don't have to care how impossible their demands are), showing a peculiar blindness to the fact that Ireland is one country, part of whose territory was forcibly incorporated into the UK. I'm not running an IRA Continuity line here-I have a close friend who is a SDLP militant and ran against Gerry Adams in Belfast-but I think this eerie silence may be a reflection of, an expression of just how powerless they feel against the state on a real, burning issue. Who knows? They don't seem to realize on the English "politically correct" left that Scottish independence means a PERPETUAL, reactionary Tory regime -without a US/UN restoration of the "Hanoverians :)-in their own Backyard. Maybe I don't have any right to say anything, but I'm not some "Ukainian" chauvinist, and the English blind spot is real. 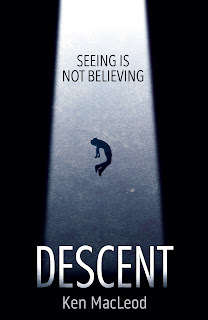 Anyway, I'm truly looking forward to reading Descent. I read Mirage Men on your recommendation, and you may find this ironic, but that view of flying saucers was not uncommon in SDS and the anti Viet Nam war movement. Will there be an e-book Ken? Seems like that would be the best way to get it here in the States. I'm still waiting for an e-book of Intrusion. Ken, I second Joe Ray's request. Those of us fortunate(/sarcasm) enough to live in the States would like the opportunity here. Can't Orbit do something? Re a US edition - that isn't up to me! Lee - I don't think Sottish independence would mean perpetual Tory rule in England. Most Labour governments haven't needed Scottish MPs to get a majority. On Ireland, well, that's a long argument but it's true that the Brisih far left's response to the NI conflict showed a certain failure to take seriously even their own analysis.